Grade: Ω — (Omega) Not the opposite of an Alpha, but rather a must read of a different kind. An excellent book that makes you think of things beyond the scope of the book, but also breaks rules and/or may appeal more to people who do not normally read the genre than those who are aficionados of it. 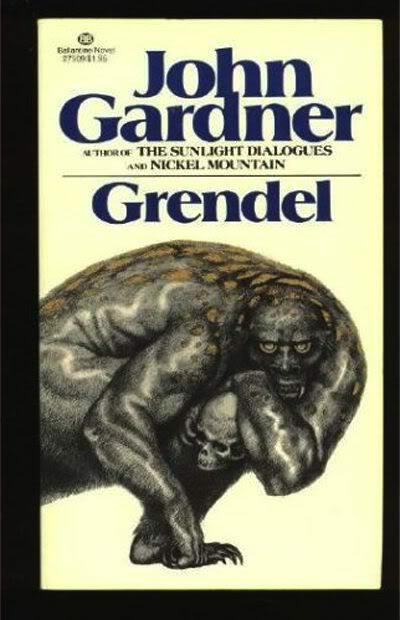 Grendel is John Gardner‘s 1971 retelling of the classic Beowulf tale from the monster’s point of view. Engaging in its ability to turn the oldest surviving piece of English literature on its head, it tells the story of a man-monster torn by its compulsive attraction to humanity and its isolation from it. Well written and darkly enthralling, I highly recommend this book. North Eastern Denmark during the late 5th century AD, with scenes extending beyond any one temporal limit. Carrying on a Beowulf theme from last week, I thought I would review a very different telling of the tale. 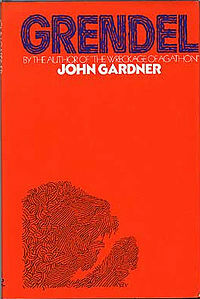 Grendel is John Gardner’s post-modern retelling of the Old English saga from the eponymous monster’s point of view. It is a short, remarkably easy text to read that serves as both an eye-opening adventure, and a deeply philosophical tale that comments on existence, modern literature, and a huge variety of other concepts. It turns the epic upside-down by giving depth to one of the most iconic monsters of the English language, yet manages to respect and reflect the original text in the process. In recent years it has become quite the thing to tell stories from the view of the monster. Many authors such as Anne Rice with her Vampire Chronicles and multitude of other books, Stan Nichols and his Orcs trilogy (Bodyguard of Lightning, Legion of Thunder and Warriors of the Tempest), not to mention Gregory Maguire‘s Wicked: The Life and Times of the Wicked Witch of the West, have chosen to portray the classic mythos from the point of view of the monster/villain. In 1971, however, this approach was far less common, and to retell the story that serves as the Grandfather of English Literature was very bold indeed. 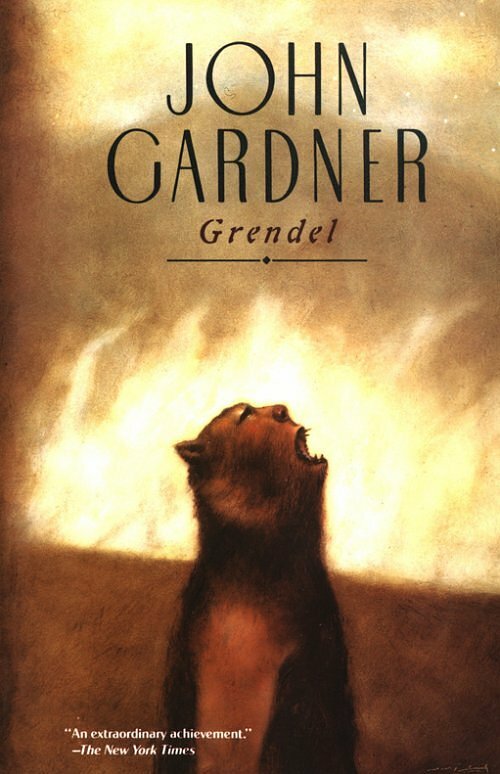 What is more, unlike many of these post-modern monster retellers, Gardnerdoes not merely rewrite all the rules and/or story so that his protagonist is a hero or indeed super-hero; at no point does Grendel sparkle. Instead the author retells the story from a different viewpoint, adding understanding to the misanthropic man-beast that haunted the Danish mead hall, as well as a highly amusing new perspective on the titular character of Beowulf. Gardner, of course, truly understood the story he was reinterpreting. A well known, outspoken, and controversial scholar of Medieval and early English Literature, he was Professor at the State University of New York Center at Binghamton Thus he was more than a little familiar with the tale he was retelling. He was also a child of his times, as both his academic and literary publications demonstrate. Throughout the text, Gardnerstarkly contrasts the formal verse of Beowulf by writing in a stream of consciousness using very modern, colloquial language. He turns the hero of the original into a monster of sorts, and yet does so while keeping Grendel a misanthropic creature in his own right. He transforms the lurking beast into a sympathetic protagonist, without making him a hero. Yet as a story Grendel not only adds new perspective, but also plays with vast number of ideas and themes. Considering its relatively tiny 152 pages, the number of topics he engages is remarkable. 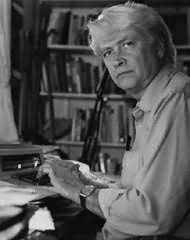 The book gives biting commentary on the nature of literature at the time of his writing. It examines philosophy, particularly existentialism, to a degree that makes one question ifGardnerwas exploring or mocking them (probably both). Certainly he relies heavily upon the Freudian elements of the tale and indeed Grendel’s exploration his Mother’s cave may have been a little heavy handed. All of this just touches the surface of the themes held within the text, yet as with Heaney’s Beowulf (see my review), the great thing about this book is that it can be read as a fun and fascinating character story with fantasy elements that add twists to the very concept of monstrous or as a deeply philosophical text. For me, this is the sign of a truly great story: it can be read as a fun tale or explored for deeper meanings. To that end, I would say it is a must read, particularly for anyone who likes Fantasy novels. It is, however, a dystopian fantasy, and as such clearly gets an Omega rating. Once again, a clearly intentional choice, rather than the now common trend in Fantasy to have Knights of the Round Table talk like… you know… this. Well, okay, fun might be over stating it a bit. Grendel is not fun, but it is fascinating. As a 13 year old, I found it a complete page turner, with deeper understandings coming in later years like an onion being peeled. This entry was posted in Classic Literature, Epic Legend or Myth, Fantasy, Identity, Post Modern, Ripping Yarn, Stand Alone Novel, Strong Characters, Thoughtful, Uncategorized and tagged Beowulf, English Literature, Gregory Maguire, Grendel, Heaney, John Gardner, Medieval, Stan Nichols. Bookmark the permalink.